the PHANTASM ARCHIVES! : Don Coscarelli to Publish Memoir This October! Don Coscarelli to Publish Memoir This October! Here's some terrific news heading into the weekend: Entertainment Weekly has the exclusive announcement that Phantasm creator Don Coscarelli will release a memoir this October from St. Martin's Press. The publisher has the following book description on their website where you can also pre-order a copy. "From Don Coscarelli, the celebrated filmmaker behind many cherished cult classics comes a memoir that’s both revealing autobiography and indie film crash course. Best known for his horror/sci-fi/fantasy films including Phantasm, The Beastmaster, Bubba Ho-tep and John Dies at the End, now he’s taking you on a white-knuckle ride through the wild world of the independent filmmaker. Join Coscarelli as he sells his first feature film to Universal Pictures and gets his own office on the studio lot while still a teenager. Travel with him as he chaperones three out-of-control child actors as they barnstorm Japan, almost drowns actress Catherine Keener in her first film role, and turns a short story about Elvis Presley battling a four thousand year-old Egyptian mummy into a beloved cult classic film. 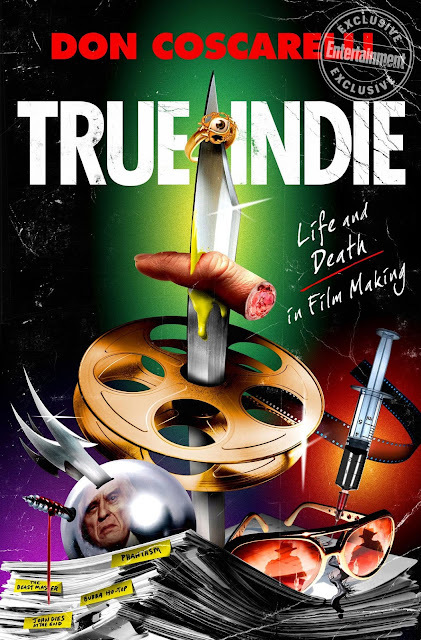 True Indie is loaded with the filmmaker’s behind-the-scenes stories, like setting his face on fire during the making of Phantasm, hearing Bruce Campbell’s most important question before agreeing to star in Bubba Ho-tep, and crafting a horror thriller into a franchise phenomenon spanning four decades. Not just memoir, True Indie is also a crash course on the indie film world. Find out how Coscarelli managed to retain creative and financial control of his works in an industry ruled by power-hungry predators, and all without going insane or bankrupt. True Indie will prove indispensable for film fans, aspiring filmmakers, and anyone who loves an underdog success story."